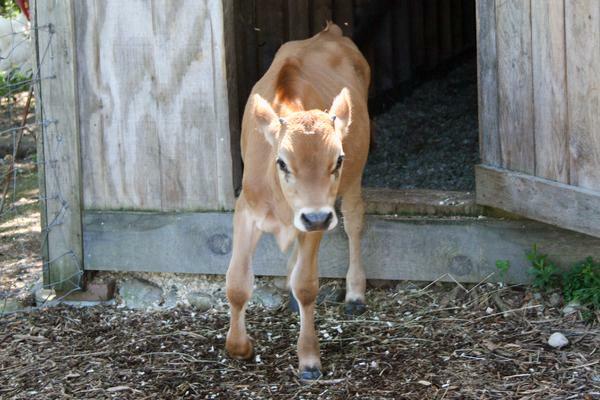 Theo, a rescued veal cow, living at Peace Ridge Sanctuary in Penobscot, surrendered by his owner. 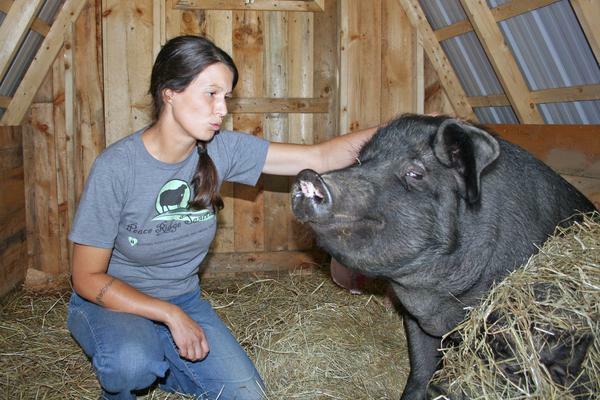 Ava Tessier with the three-legged Finnula, a rescued pit bull, at Peace Ridge Sanctuary in Penobscot. 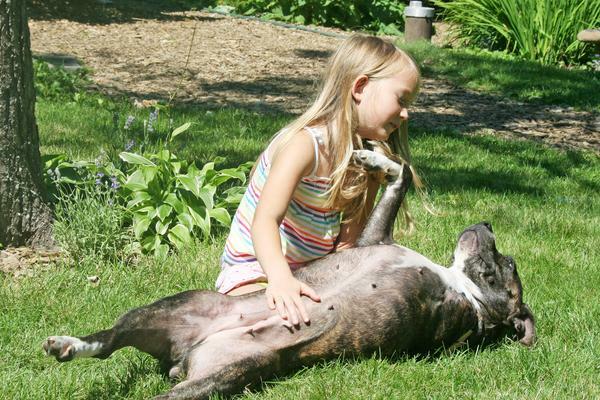 Pit bulls, said founder Daniella Tessier, are one of the most euthanized breeds of dogs. 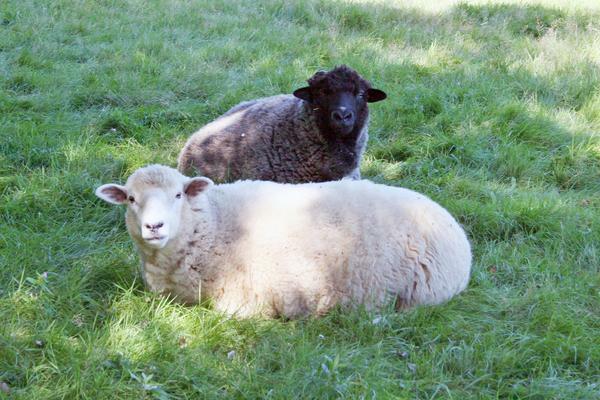 Rocky and Adrienne, rescued sheep, who weighed less than 60 pounds on arrival at Peace Ridge Sanctuary in Penobscot, are now at 160 pounds. 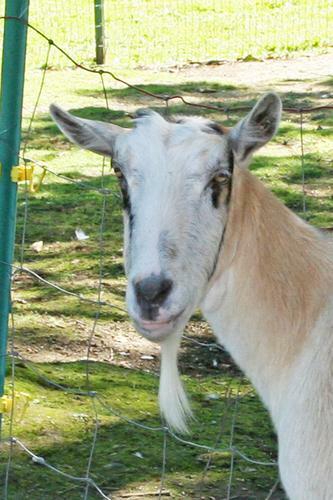 From left, Fiona, Popcorn and Ava Tessier at Peace Ridge Sanctuary in Penobscot. 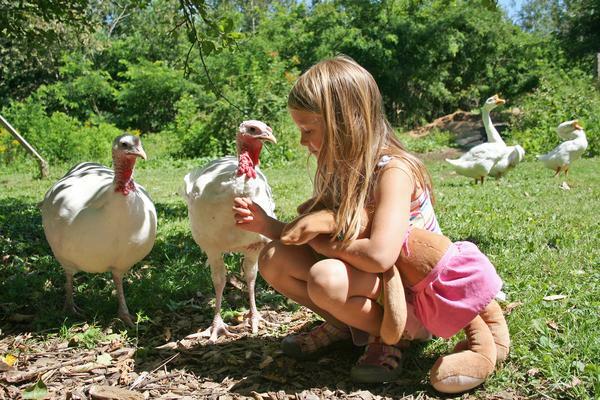 “People don’t know how friendly turkeys are,” said founder Danielle Tessier.